However, for one of their emerging stars it has been an unforgettable experience. With his side trailing 3-1 in the 87th minute Anish Khem scored three late goals in quick succession to add to his opener in the eighth minute. But following his match-winning performance the 22-year-old has remained remarkably humble. “That’s what I call lucky,” he says. Anish Khem is not known for his goal scoring prowess and he says playing up front was a relatively new experience for him. “Back in Fiji in our competition I haven’t scored a single goal yet. I have a few assists but scoring four goals in an OFC Champions League match is very big. Khem works as a primary school teacher back in Nadi and his heroics against Kiwi FC haven’t gone unnoticed amongst his student. The rising Nadi startlet grew up in a family with deep passion and love for football. He says in Fiji a lot of kids followed rugby but he was always immersed in the world game. It’s an important year for Anish Khem in terms of his footballing career. 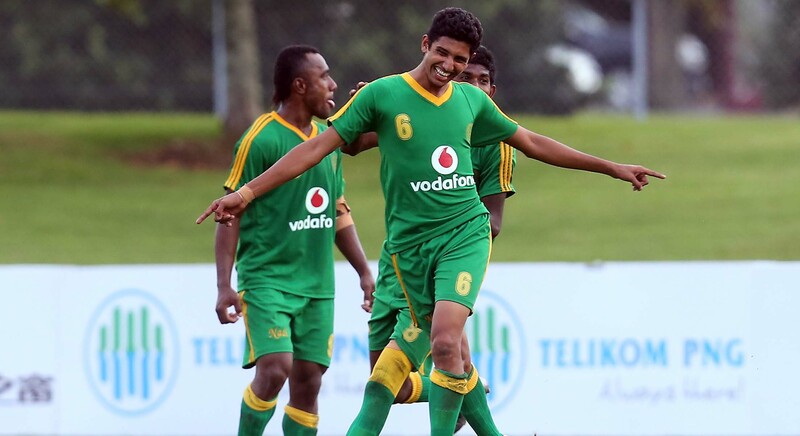 In August he is off to the Rio Olympics with tFiji’s U-23 team and he can’t wait for a return to the international stage.